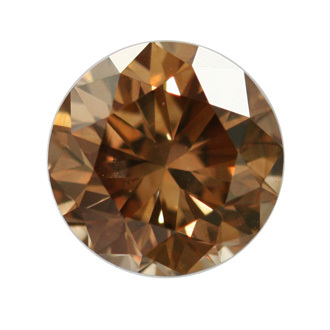 The rich golden tones in certain light conditions may impress in this brown diamond that weighs in at over a carat with VS2 clarity. 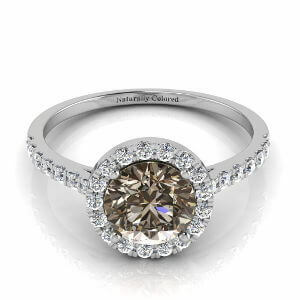 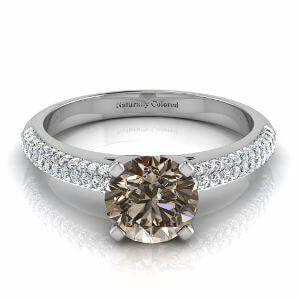 The measurements of the round gemstone are 6.22-6.25x4.15, making it a good choice for a ring. 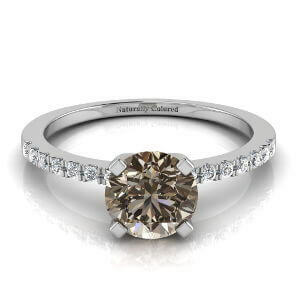 The dark yellow secondary hue enhances its beauty, bringing a deep light effect into play.